No animals allowed window sticker available in a variety of different colours and sizes. This sticker is for sticking to a window or wall in a shop or restaurant to tell customers that dogs, cats and other pets are prohibited inside. 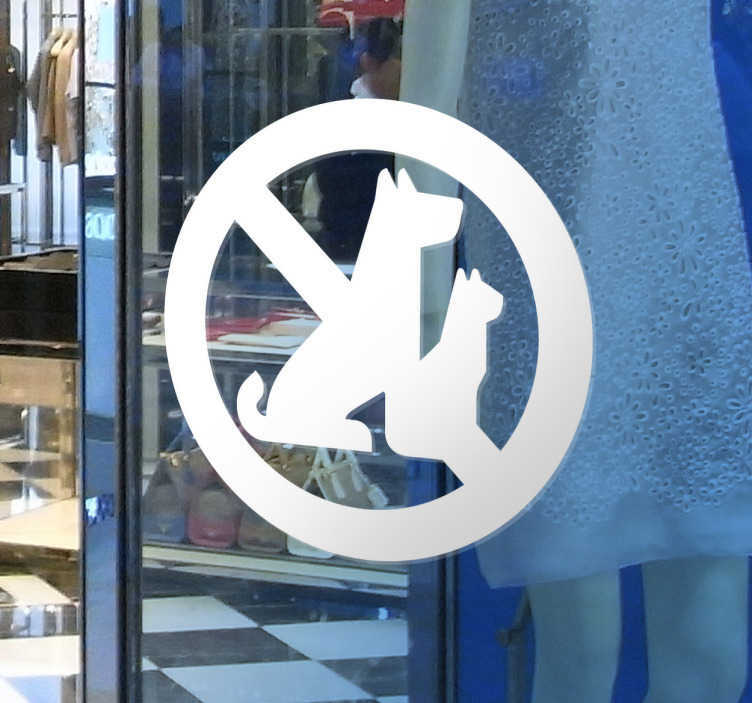 Use this sign decal to show clearly and effectively that animals are not allowed in store. Simple design of a dog and cat silhouette with a cross running through them to avoid confusion and get the message across to the public.